Good overall experience. The people at the desk were very helpful and friendly. The room I had was a bit small, even for a single, but the large bathroom made up for it. The only complaint would be the desk is a bit small to work on with a computer. There are adequate plugs (a problem in many hotels). Had a late check in, very friendly receptionist. Room clean and tidy. Lovely place, ideally situated for my business trips. Very friendly and helpful staff. Would like the menu changed more often though. I have stay at the Mercure Rougemont many times on business, however on this occasion the room service menu has changed, and it was extremely disappointing. Not only was it very limited (and I noticed nothing for a vegan). I was extremely shocked to have it arrive in a cardboard box, no plate! Not what you expect for paying £18 for fish and chips. I would suggest that room service menu is improved, and that if you are going to continue to supply fish and chips in a cardboard box you also supply a plate! Very friendly staff, nice clean, comfortable room, good shower. I have been staying regularly over the last few months. The staff have always been helpful, friendly and professional. The rooms have always been good. We arrived at 8pm to be told there is an open mic night in the restaurant. Not what I would expect in a 4 star hotel. Food was way over priced and room was ok but very standard. I only stayed for one night but felt as valued as the guests staying for longer. Bed was comfortable, sheets were clean and fresh and room had a great T.v! What more could one want! - a welcoming receptionist, a pleasant room, a comfortable bed, a well appointed bathroom, tea-making facilities, a good breakfast and the convenience of being in the town centre. Thank you for a most enjoyable stay! Firstly, thank you for - your Receptionist told us - the unscheduled & unexpected 'double upgrade' of room. Your 'prestige' bedroom, number 106, was lovely, and ideal for our stay. I was making my first visit to an annual conference at the University of Exeter; so, next year I shall ask if the same room is available. The hotel is spacious and clean. Because of the conference, we didn't dine in the hotel; but we did have a very good afternoon tea on the day of our arrival. The breakfasts were excellent: very tasty food, a range of choices, efficient & not fussy, with friendly & helpful staff. Having on-site parking was very useful. If we were to suggest one area for improvement, we weren't sure whether the receptionist on our arrival was distracted or dealing with too much; but the overall effect meant that the welcome was not as friendly as the rest of the service & attention that we received. 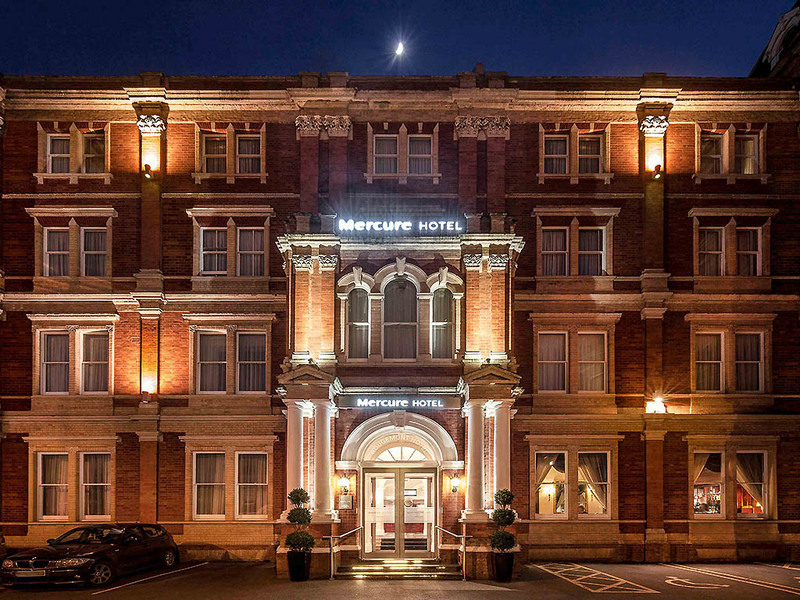 That said, we would - indeed, we will - happily recommend the Mercure to friends who are visiting Exeter. Thank you. Only just satisfactory given the price. One member of the reception staff had a somewhat curt manner. In the evening the entire bar reeked of body odour. The price of £114 was high for such a small room (208). The plug on the kettle base was loose and potentially dangerously so (I informed the reception).